Burgundy is a historical region in the eastern central part of France and is one of the most beautiful to visit in all of Europe. It’s famous for its Burgundy wines known the world over and has some of the most expensive Wine growing land in the world. Known for its Pinot Noirs and Chardonnays, Chablis and Beaujolais. The area has many canals and waterways, biking and hiking trails and is noted also for its many fine majestic grand chateaux in France. We recommend that if in this area a visit to Dijon and the Palace of the Dukes and the Muse des Beaux-Arts is a must see. Also our Favorite City in these regions is Beaune which is noted for quaint building, cobblestone streets and the famous Cheese and Wine Harvest fair and auction. Here one can experience many of these great wines from smaller growers whose wines are sold out years in advance. We suggest a visit to Cote D’Or vineyards, the muse at Hotel-Dieu, Maison Louis Latour, Domaine Jean Cluade,oseph Brouhin and Chateaude Pommard. An interesting fact is that much of the Napa Valley area in California initially obtained these French plants and cuttings from this area and now produces some of the greatest wines in the world. 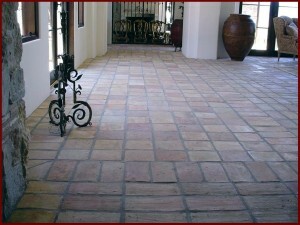 The Burgundy region is also noted for some of the worlds best antique vintage stone flooring know as Dalle de Bourgogne. We at Traditional Materials take great care in sourcing, cleaning, and sorting for color shape and sizes to provide one of the worlds greatest reclaimed floors and stairs available to our clients. We have exclusive relationships with the very oldest and most respected suppliers and dismantling companies in Europe. We specialize in finding these rare period floor tiles in country houses, estates, châteaux and old farm houses. 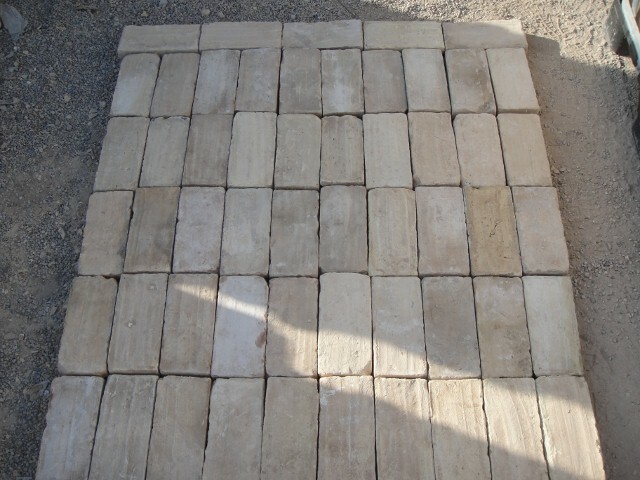 We import stone floors and cobblestones from France, Spain, Portugal, Italy, Germany, Holland and even as far as Jerusalem. The grey and blonde dalle barr from France and Biblical antique stone from Jerusalem are our most desirable floors in the world for clients who want to capture the feeling of generations of past use by generations of families who have lovingly added to the patina of these stone floors which have retained the genuineness of these reclaimed vintage stone floors of the past. These floors both in reclaimed limestone, marble, terra cotta or wood make any project very exceptional and more value to any project then the cost of these materials. We assist our clients in the installation and caring for these antique carefully salvaged limestone floors, genuine recycled terra cotta, and vintage wood floors. These come in many various thicknesses and dimensions depending on clients requirements. We also provide new wood and stone flooring that replicates and is reminiscent of the past and is available in many different colors and sizes and is gauged usually ¾ inch thickness or more. We have specialists that work with landscape architects and contractors to provide stone pool coping, steps, as well as, provide reclaimed cobblestone, and old vintage garden elements like pots,, urns, wellheads, troughs, fountains and statues. The reclaimed terra cotta floor tiles come in reds, roses, ochres, creams, yellows and in square or rectangular shapes. 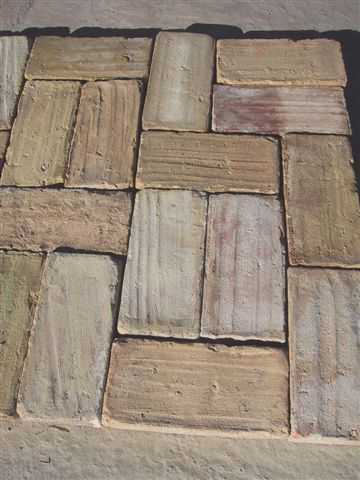 Belgium terra cotta, reclaimed stone and recycled cobblestones come in a grey and a darker black color range. The closer the these materials are sourced near the Mediterranean regions the more yellow and ochre the color. The red color terra cotta comes from the Northern areas of France, Spain, Italy and Portugal. We carry in our vast inventory many reclaimed floors in both stone, marble, terra cotta and wood, Upon request we will by happy to supply samples of these reclaimed building materials. Most of our business is repeat clientele because we provide the very highest quality and consistency of these vintage salvaged antique floors and vintage garden elements to satisfy and meet the stringent expectations and requirements of our clientele which include some of the nations most respected architects, designers, and contractors in the country. We also deal direct with the end user. Our prices are wholesale and the most competitive in the industry because we source direct thereby eliminating the middle man and don’t need to advertise because of our satisfied clients and their repeat business and referrals.